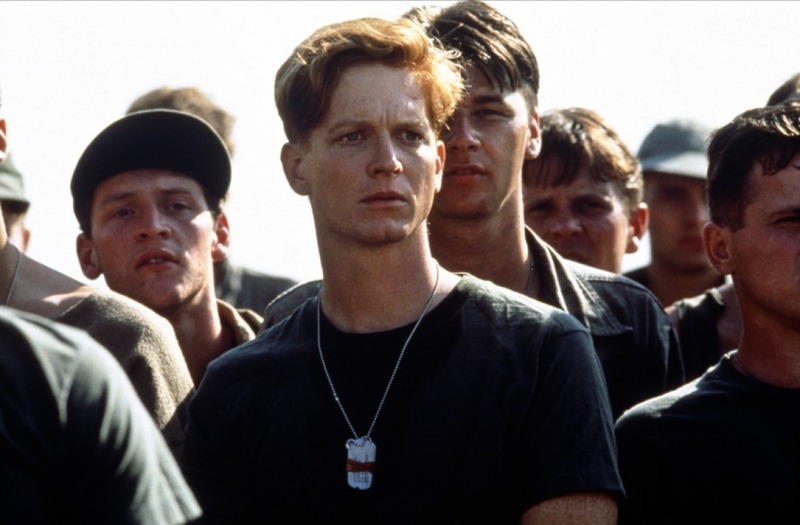 Memphis Belle is a war movie written by Monte Merrick and directed by Michael Caton-Jones. 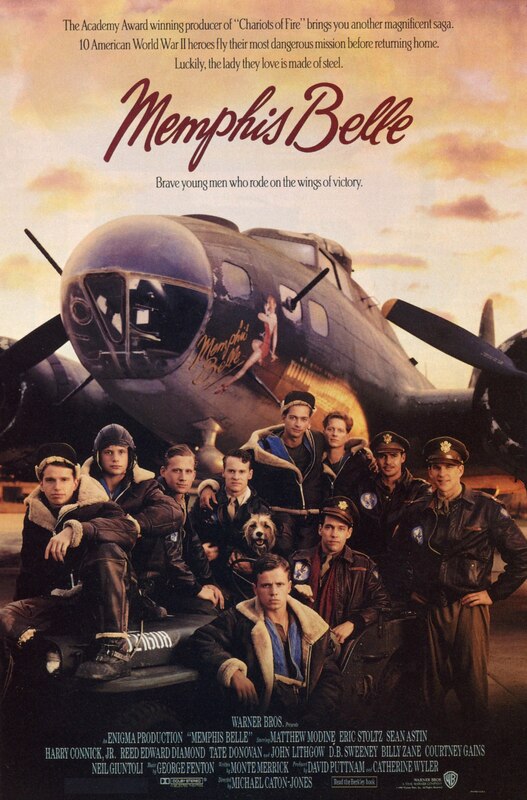 The film is based on William Wyler’s 1943 documentary Memphis Belle: A Story of a Flying Fortress. The film was released in theatres in October 1990. George Fenton was nominated for a BAFTA for Best Original Film Score. Memphis Belle came out on DVD in May 1998. The “Memphis Belle” is a World War II bomber, piloted by a young crew on dangerous bombing raids into Europe. The crew only have to make one more bombing raid before they have finished their duty and can go home. In the briefing before their last flight, the crew discover that the target for the day is Bremen, a heavily-defended town that invariably causes many Allied casualties. The action scenes are terrific and the various ways the aircrews could die show why so many perished in wartime. It is tension to the max and the final 20 minutes of the movie will have you sweating in your goggles. Visually, Memphis Belle was a little hit and miss. The close ups inside the planes were stunning, with peeling paint and scratch marks evidence of razor sharpness, but there were times during the long shots when it seemed to be lacking body and contrast. However, to not get hold of a copy of this exceptional tale on those grounds would be doing adventure/action lovers a disservice. Contrary to the packaging, Memphis Belle is presented in non-anamorphic 1.66:1, not 1.85:1. The quality of the video is highly variable, with some scenes faring better than others. There are numerous scratches on the print, which detract from the overall enjoyment, and there seems to be an odd reddish/pink tint to the picture, but this isn’t the worst transfer I’ve ever seen. It’s certainly better than VHS, and although it lacks the definition of an anamorphic transfer, the detail level is acceptable throughout. For those who prefer them, the disc also contains a pan-and-scan transfer on side B. The English Dolby Digital 5.1 is fairly good, and succeeds in drawing you into the action. It could perhaps have benefited from a bit more bass during the airborne combat though. There are some great opportunities for surround effects during these sections, but these don’t live up to their full potential. Dialogue sometimes gets lost amongst the rest of the sound, and it all sounds a bit muddy at times.